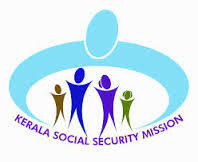 KSSM Notification 2018.Kerala Social Security Mission, KSSM has released a notification for the recruitment of Data Entry Operator vacancies.Check the eligiblity and notification prior to apply for the positions. Graduate in any discipline with certificate in data entry operator from recognized university or equivalent can apply for the said posts. Minimum 21 & Maximum 36 years of age can apply for the Data Entry Operator posts. The salary will be Rs.10000 per month for Data Entry Operator Post. The Selection Process will be based on the basis of Interview & Written Test for the above mentioned posts. The Applying Process will be based on Offline Mode for KSSM Recruitment 2018. 30th November 2018 is the last date to apply. http://www.socialsecuritymission.gov.in/ is the link to apply online.